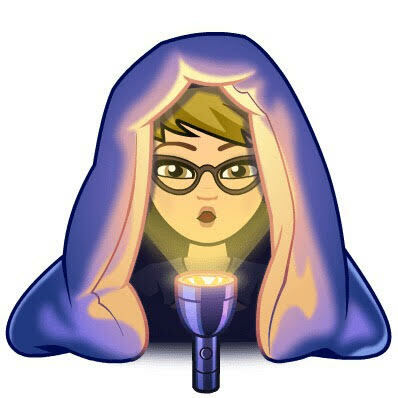 Week 7 and another favorite theme of mine, this one is Paranormal or Ghost Cozy. 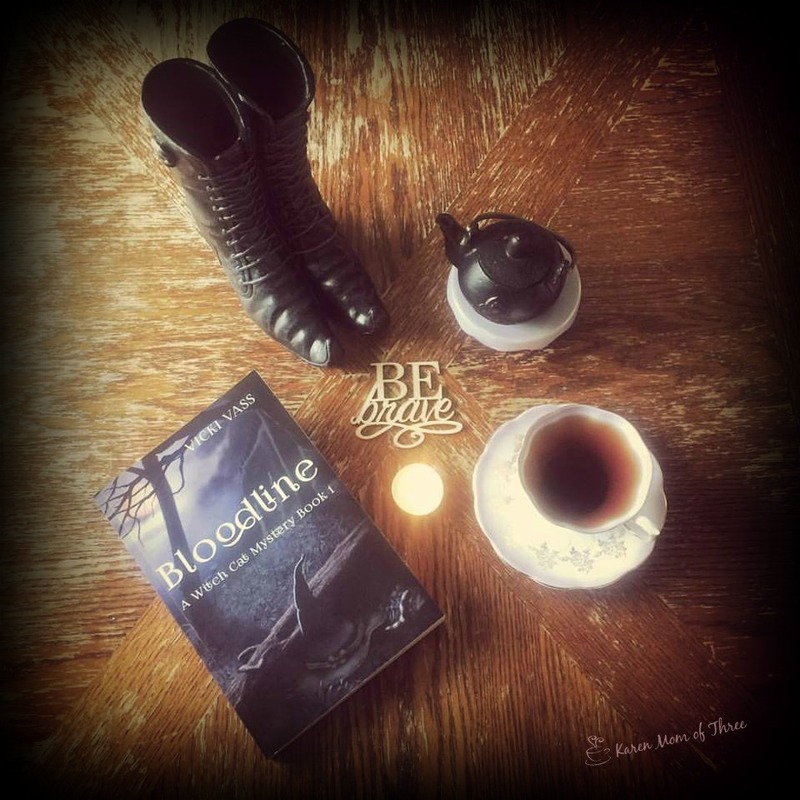 This was a hard one for me to chose from so many wonderful paranormal series I read, however my decision was made much easier by the fact that the book I have chosen called Bloodline by Vicki Vass was so exceptional and my desire to have the whole cozy community read it. There is so much to love about this first in what I hope will be a long running series. 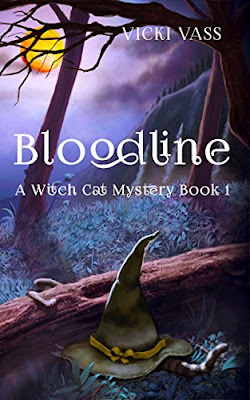 Bloodline is Book 1 in the A Witch Cat Mystery Series. I could not put this book down, I read it in one sitting, not wanting to miss any part of the action. 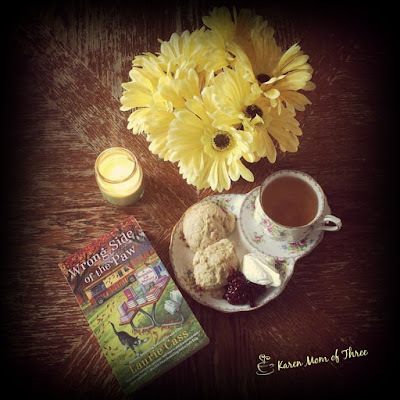 Fabulous concept, story, backstory, characters and heart. This is a book as a paranormal cozy mystery lover I was beyond excited about. The cover is fantastic and the mystery is divine. Main character Terra Rowan is unlike any main character you have ever read. 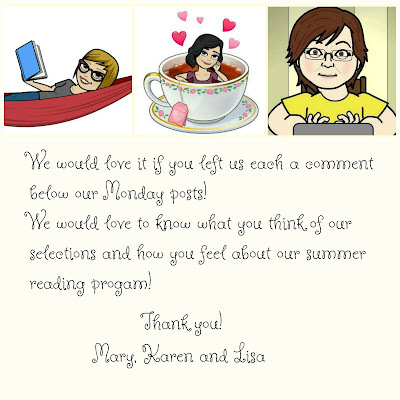 Vicki Vass did an exceptional job with this one and threw some wonderful surprises in the book that felt like they were just for me! 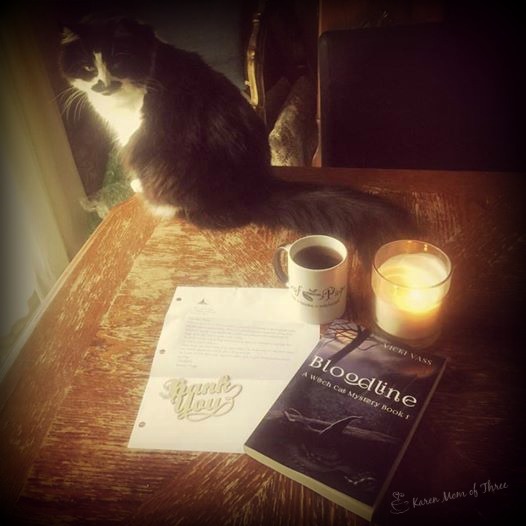 You can find Bloodline on Amazon by clicking here. 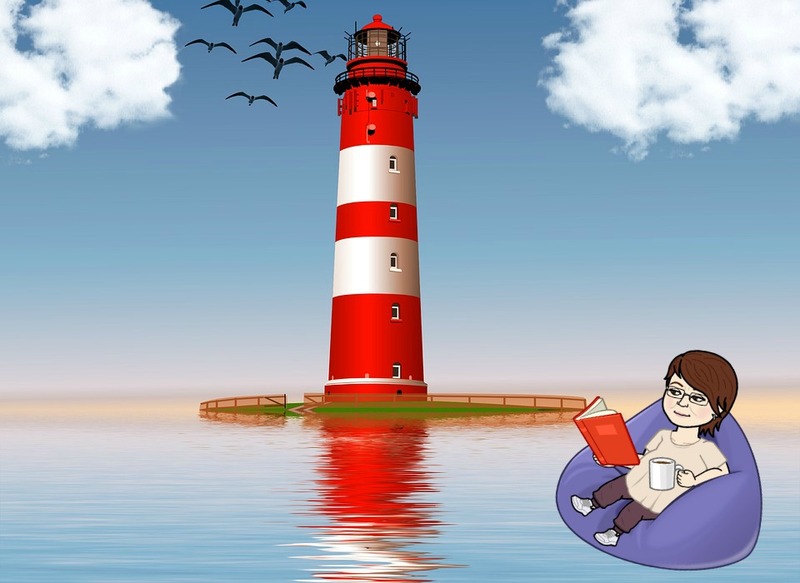 Find it here on The Book Depository with free shipping by clicking here. I read and finished Amanda Flower's Assaulted Caramel this past week. This one is out August 29th and you can even pre order book two which comes out next January! I had an idea in my head what this would be like when I started however I was very impressed with how the storyline progressed. The unexpected surprises Amanda had for us in this story! 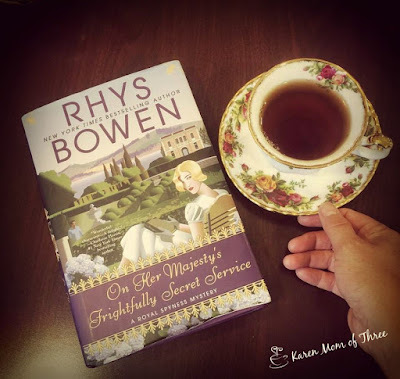 I find that I enjoyed the relationship between main character Bailey King who is NOT Amish and her very much Amish grandparents tugged at my heartstrings in unexpected ways! 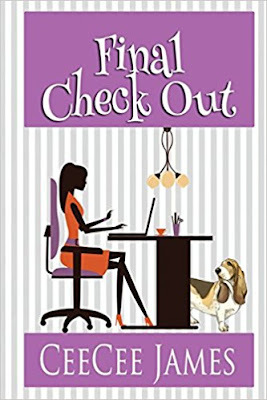 You can feel the chemistry jump off the pages between Bailey and Aiden and your will want to adopt little Nutmeg for yourself. 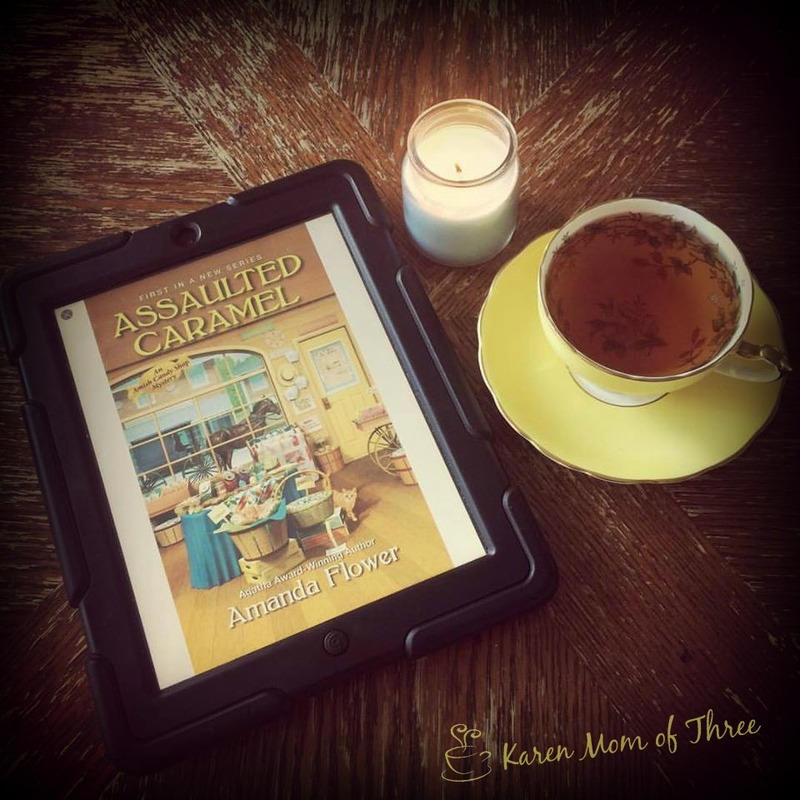 I am looking forward to reading the second book in the series and feel author Amanda Flower has done an awesome job with Assaulted Caramel. Bailey King is living the sweet life as assistant chocolatier at world-famous JP Chocolates in New York City. But just when Bailey’s up for a life-changing promotion, her grandmother calls with news that her grandfather’s heart condition has worsened. 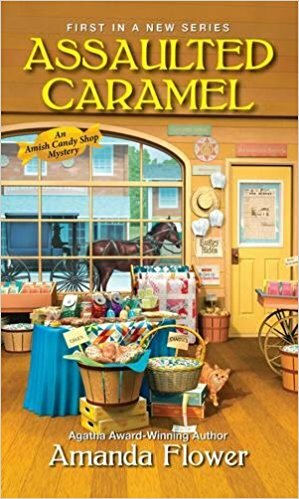 Bailey rushes to Harvest, Ohio, where her grandparents still run Swissmen Sweets, the Amish candy shop where she was first introduced to delicious fudge, truffles, and other assorted delights.She finds her grandfather is doing better than she feared. Unfortunately, the same can’t be said for a local Englisch developer, whom Bailey finds dead in the candy shop kitchen—with Jebediah King’s chocolate knife buried in his chest. Now the police are sweet on her grandfather as the prime suspect. Despite the sincere efforts of a yummy deputy with chocolate-brown eyes, Bailey takes it on herself to clear Jebediah. But as a cunning killer tries to fudge the truth, Bailey may be headed straight into a whole batch of trouble . . .
You can pre order Amanda Flower's Assaulted Caramel by clicking here. I am so very lucky and grateful for the opportunities that I have in life, for the people placed in my path and for the books written by amazing authors who give me a great escape. I am particularly grateful this week after a difficult week. I had some amazing opportunities this week and I am so thankful and thrilled with how my Beyond The Bookmark event went with author Jayne Barnard in celebration of her Maddie Hatter series. 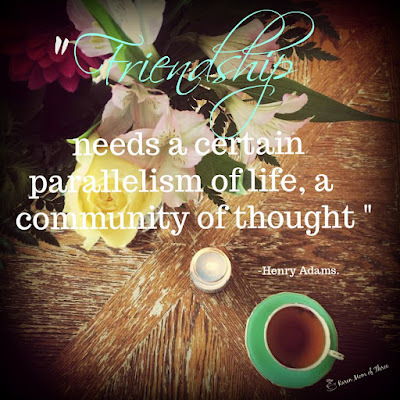 Thank you to all who came to the Facebook event on my Beyond The Bookmarks pages. 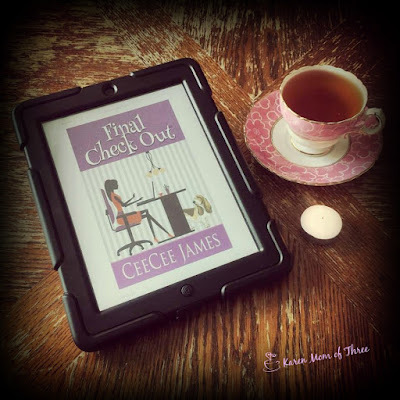 I did get some reading done this week and shared some reviews of CeeCee James latest cozy Final Check Out. Book Three in her series I can not believe how fast she gets these out! 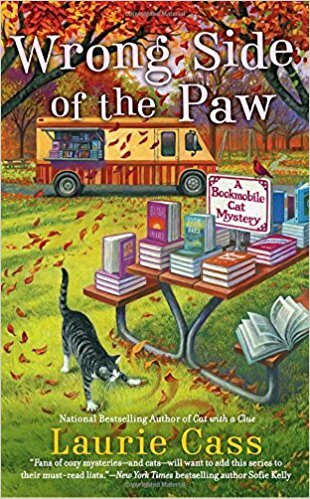 Library super sleuth and superhero in Wrong Side of The Paw had me so excited ! Laurie Cass writes a fantastic series! 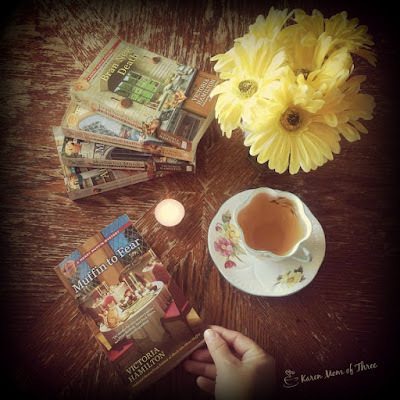 Oh and I love the Victoria Hamilton Merry Muffin Series! Muffin To Fear was exceptional and I even made a video about it yesterday! I am finishing up Assaulted Caramel right now by Amanda Flower and look forward to sharing my review with you all soon. 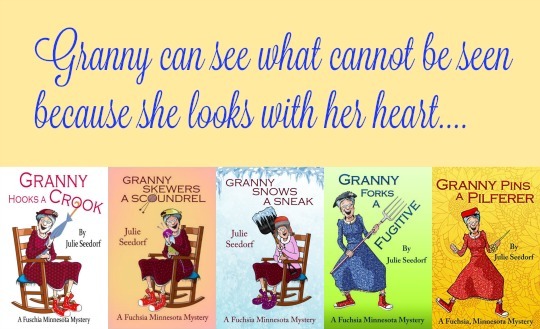 Today we have a visit with Julie Seedorf, author of the wildly popular Granny Series! 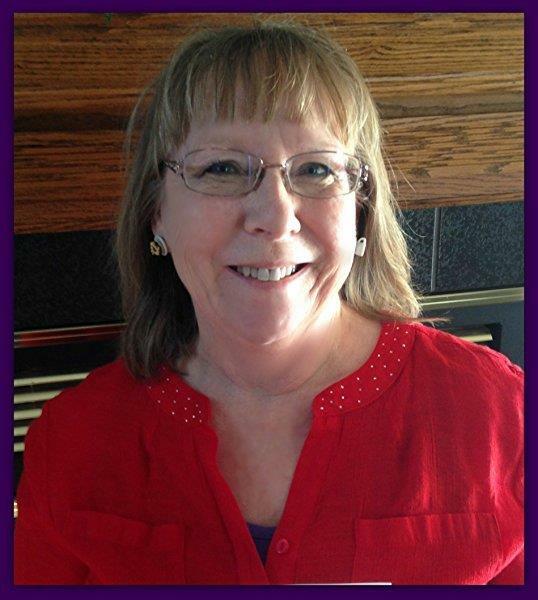 I have worn many hats throughout my lifetime such as working as a waitress, nursing home activities, office manager and finally computer repair person eventually owning my own computer repair business. I never forgot my love of writing and quit my computer business in 2012 after signing a contract with Cozy Cat Press for Granny Hooks A Crook, the first book in my Fuchsia, Minnesota Series. Learn more about Granny and Julie by visiting Julie's Author Website by clicking here. Now for a giveaway and your chance to get to know Granny! 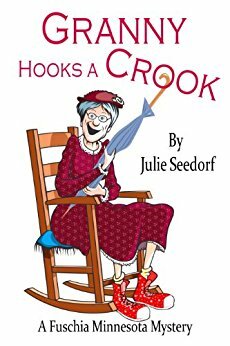 Julie has kindly offered Granny Hooks A Crook to be given to one of my wonderful readers! 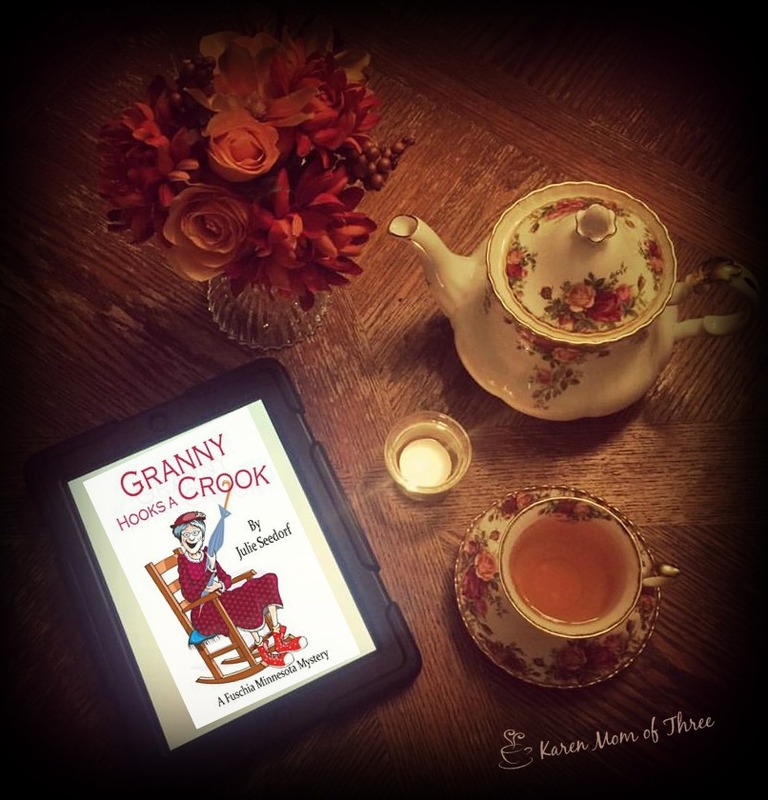 If you would like a chance to win a copy please email me at karenmowen@gmail.com with GRANNY in the subject line. Monday August 1st I will draw a name from those emailed and announced a winner early next week. 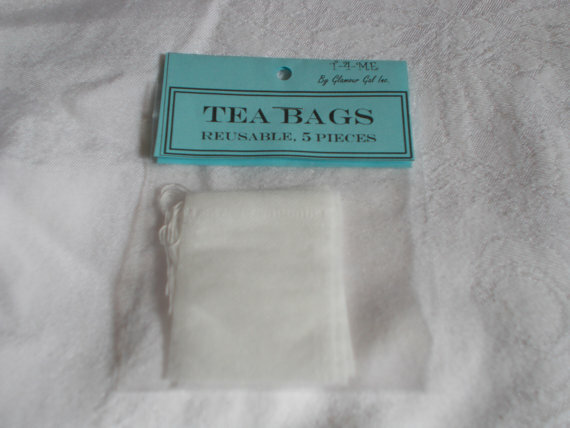 Let's start with these lovely reusable tea bags! You get 5 in a package for $1.29 CND from GlamourGalStuff Etsy shop, they are made to order, click here for shop and listing. 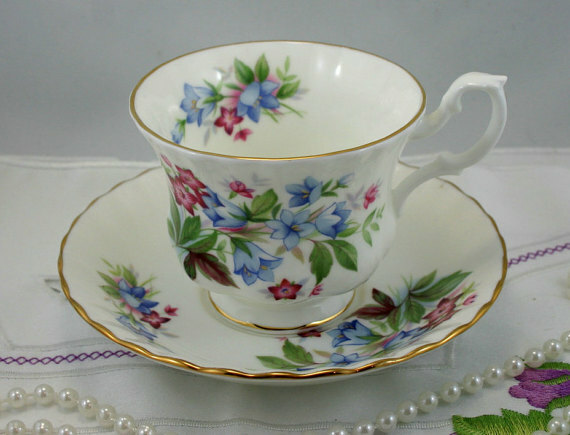 Tina's Decor Etsy shop has tempted me with this Royal Albert listing! Offered at under $5 this one you have to see! Click here for shop and listing. 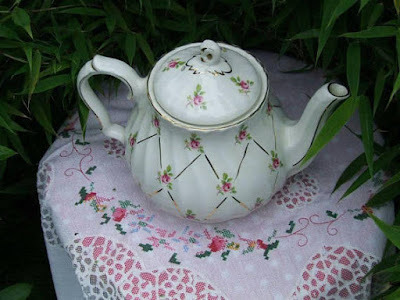 I loved this teapot from Old Crocks Tea Party offered for just around $20! This 5-6 cup pot would be a lovely at a tea party or on your table daily! Click here to see the shop and listing. 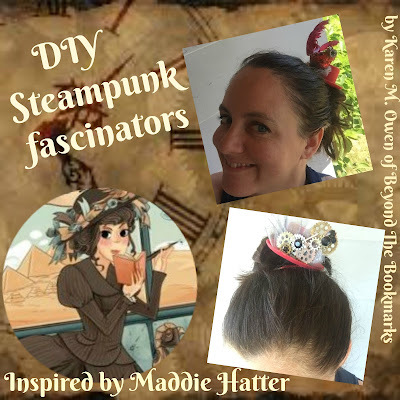 While reading Maddie Hatter I felt inspired to also create some Steampunk themed fascinators based on both books, Maddie Hatter and the Deadly Diamond and Maddie Hatter and The Gilded Gauge! 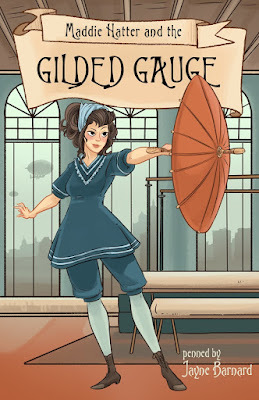 I can not help but just love her clockwork bird who nests in her hat! 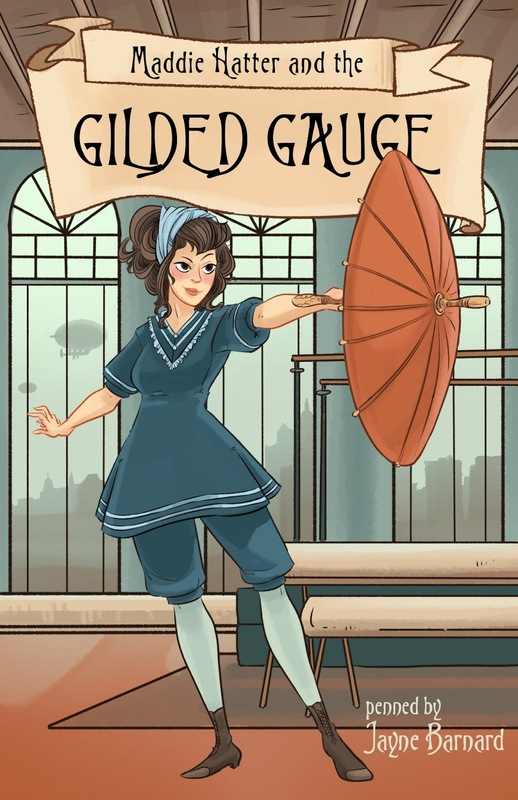 I wanted to honor that little bird by making a hat of my own and I made a second one of gauges and gears inspired by book two Maddie Hatter and the Gilded Gauge. I thought it maybe fun to share how I did it so that you may make your own! Step 1- Assemble all your supplies. Pick the side of the hat you wish to decorate. Plug in your glue gun and get ready for some creative fun! Step 2- Start with the placement of your bow or veil. If using tulle, cut a 10 inch piece and thread your needle and use a running stitch to go through the center of the tulle piece. As you pull the thread you should have a ribbon form as in the photo above. Use a large dab of glue from your glue gun on the side of the hat and carefully press the ribbon into the side of your hat form. If using a bird at this time take him out of the package and secure him to the ribbon and the hat with more glue. Step 3- Once you have put your bird in place, decorate under him and above the brim of your hat with buttons or gears, gluing them into place. Next use your sharpie marker to color the beak of your bird to give it a metallic look. Choose two smaller gears (They do not have to match) for the birds eyes, and attach them with a bit of hot glue. Use small gem stickers for the eyes, gluing them on top of the gears as shown in the photos above. If you are making one with gears and no bird you can place them as shown and secure with more glue, you can use wires or bobby pins to give the gears height as I have here and decorate with gem stickers. Step 4- Once you are happy with how you wish you hat to look on the top, it is time to attach a hair clip to the underside of your hat as I have done with a dab of glue. I have also used a piece of felt in a matching color to secure the edge of the clip in place. Once the glue is dry you can flip it over and try it on! These are simple easy and fun ways to bring a little Steampunk fashion inspired by Maddie Hatter into your own wardrobe. 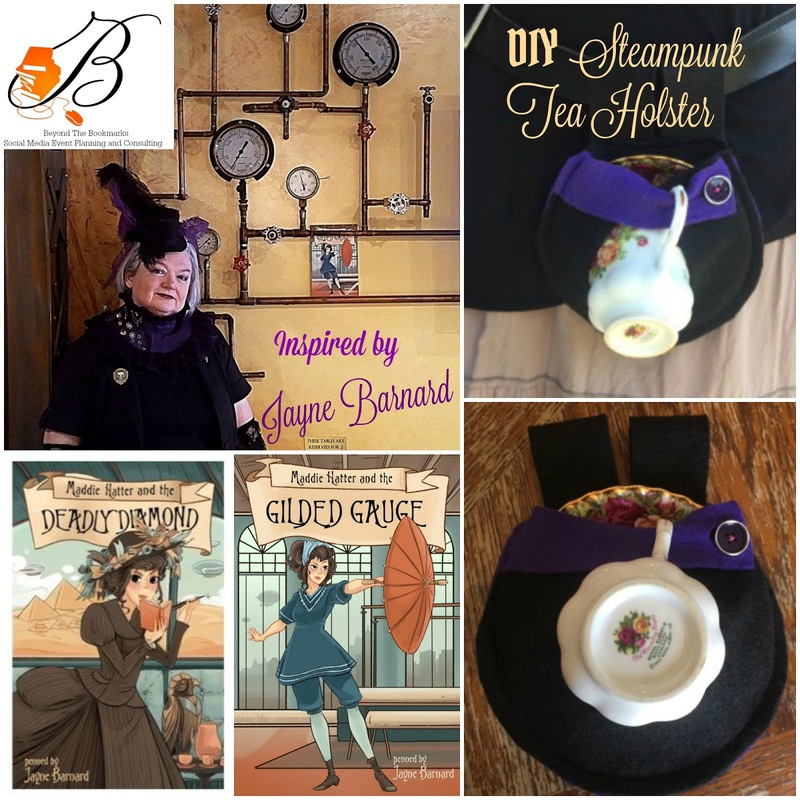 Learn more about Maddie Hatter and this amazing series by clicking here for Author Jayne Barnard's Website. 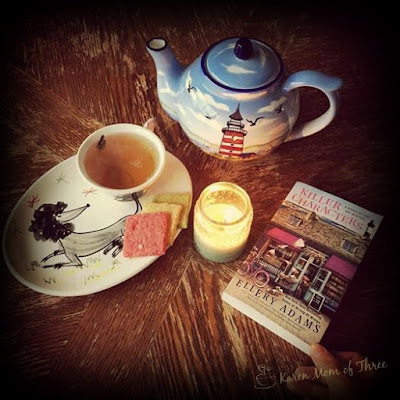 In anticipation of tonight's Maddie Hatter facebook party I have a special treat for you! 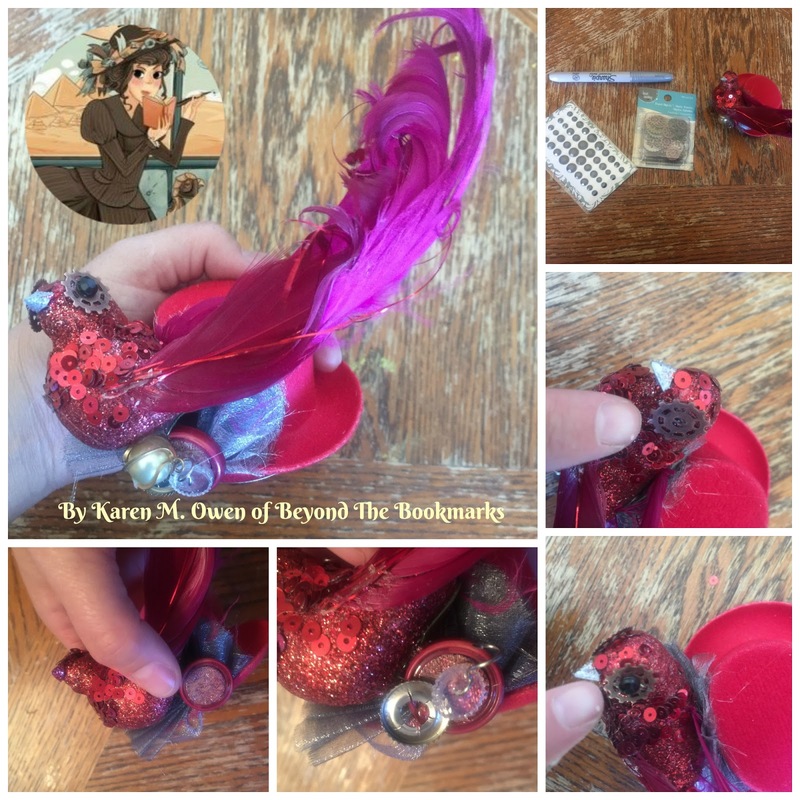 I am sharing my tutorial for a felt DIY Steampunk Tea Holster that I made while reading Maddie Hatter and the Gilded Gauge. I was so inspired by this wonderful main character and her story that I felt compelled to make a tea holster and tutorial that would be fun for fans of Maddie Hatter like me, and that would be an easy and a fun craft to make. This tutorial uses felt, if you wanted to experiment with fabric or leather you may need to tweak the pattern slightly but the bare bones of this pattern should serve you well. Step 1- Download, print out and cut out the pattern pieces. Lay them out on your felt and cut out all the pieces you need. Step 2- Take the base pattern piece you cut out and two of the straps you cut out of the felt. On the flat side of the base place your straps, fold them over so that the bottom raw edges meet and pin into place beside each other. Use your sewing machine to stitch them into place. Step 3- Place the middle cup holder piece of felt over the base and pin it into place, top stitch along the outer edge to the bottom piece. Step 4- Place the upper cup holder over top of the middle holder and pin into place, sewing along the outer edge and securing it to the middle and base. Step 5- Add your button to the marked place and stitch it into place. Step 6- Pin the teacup strap to the top left corner of your holder and slide in the plate and cup into place. 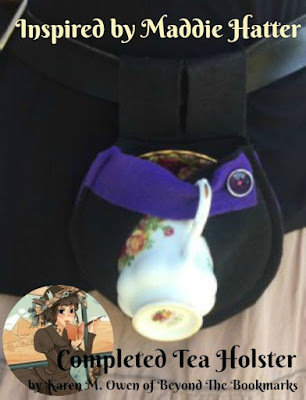 Take the teacup strap and loop it through the teacup handle and bring it along to where you would like to secure it to the holster. Mark it with a pin or pen. You may need to trip the felt tea strap. Snip a small line that will become your button hole. Once you are happy with the placement of the strap, remove the cup and saucer and then top stitch it into place. Step 7- Put the completed tea holster onto your belt and then saucer and cup in their spots! You are now ready and prepared for tea dueling! 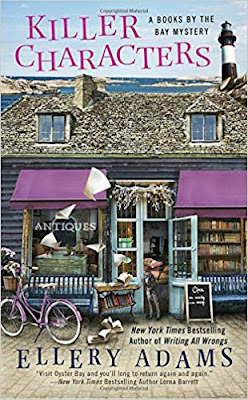 Find out more about Maddie Hatter from Author Jayne Barnard by visiting her website clicking here. 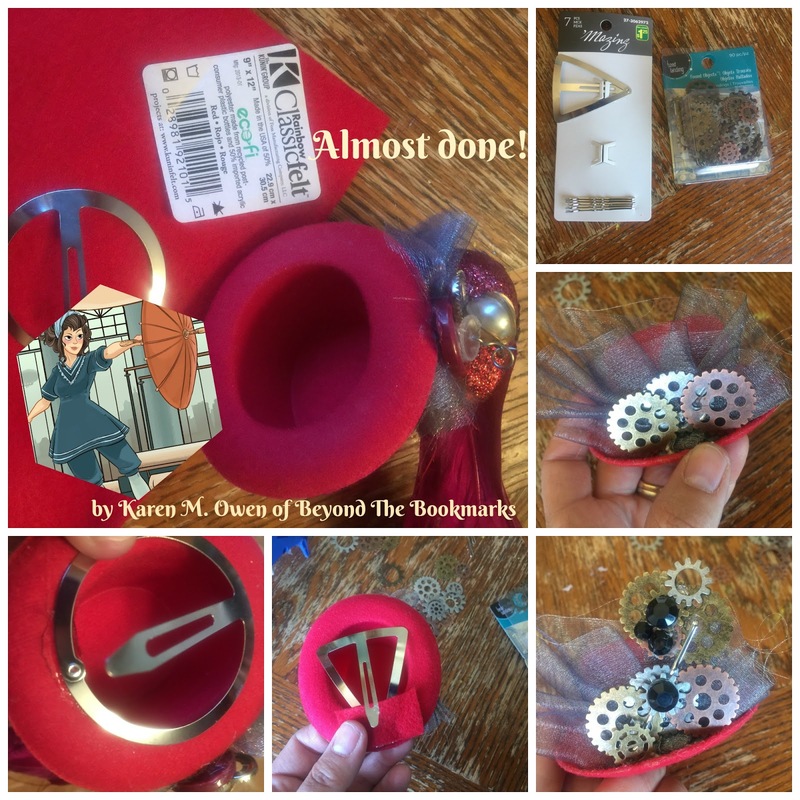 I hope you have fun making this Maddie Hatter Inspired Tea Holster! 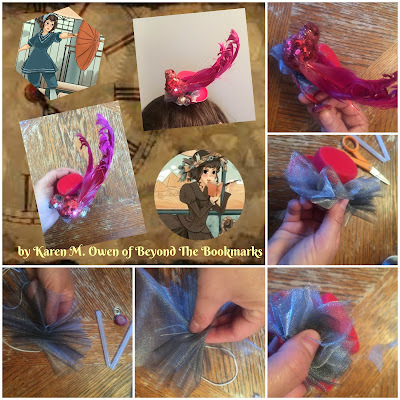 Please feel free to share this tutorial and the word about this amazing series! 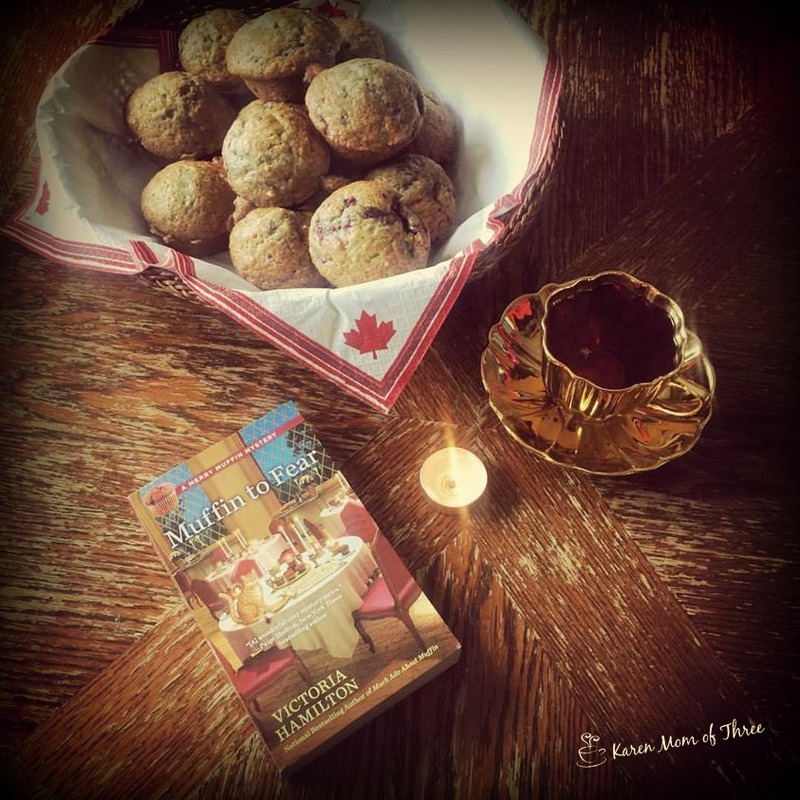 Before I begin let me say this about the Merry Muffin Series, by Victoria Hamilton, this is a wonderful series about finding yourself no matter where you are in life and making changes you never thought possible just with curiosity and leaps of faith. 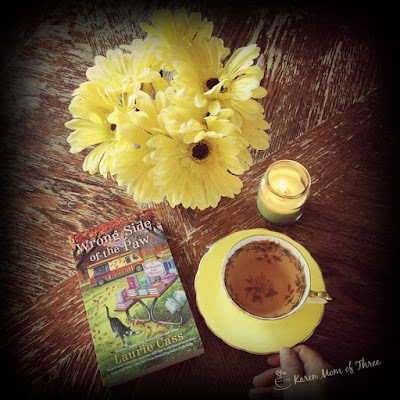 Muffin To Fear's Prologue made me so happy! It was such a nice way to start this book and if you have read the series you will know exactly why. When Merry comes home she is up to her eyeballs in chaos, somehow I can not picture her in any other way. No matter what Merry seems to be right in the middle of Chaos which is likely why I find her so appealing as a main character. This one I found riveting. I loved the entire very busy cast of characters that descend upon the castle. I also love how the recurring characters all have a hand in helping out throughout the latest fiasco at Wynter Castle. This book is very well written and I loved the subject in this cozy mystery and the truly cozy feeling in the end. While Merry is distracted by her quickly planned marriage to Virgil Grace and a blissful honeymoon in New York, her friend Pish invites the ghost-hunting crew from the TV show Haunt Hunt to investigate Merry's home, Wynter Castle. Merry soon discovers that not only is the crew out of sync, there are so many feuds and squabbles, it's a miracle they get a show produced at all. It all goes from bad to worse when the show's psychics claim to have contact with people murdered on Merry's property. When two cast members are found dead, Merry and Virgil must figure out who’s picking off the Haunt Hunt team before their hard-earned happily ever after is cut short. 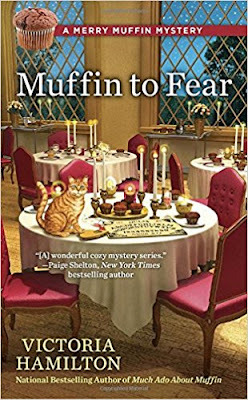 I loved Muffin to fear and I love this series! 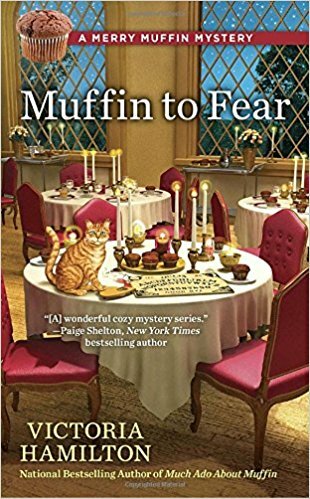 Muffin to Fear is out now and you can find it on Amazon by clicking here. 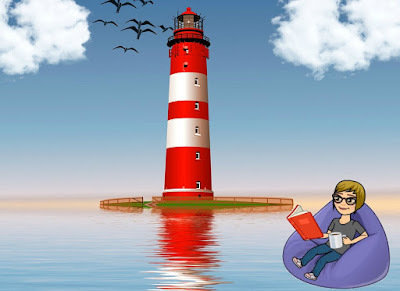 Saturday I read Final Check Out by Cee Cee James, Book three in the Ocean Side Mystery Series . 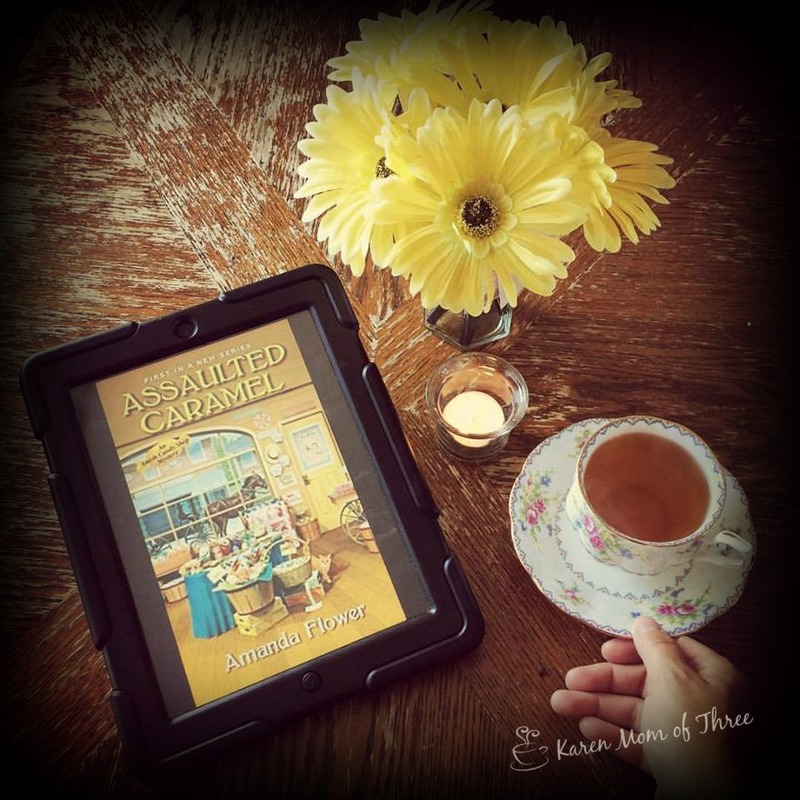 This was an intriguing read, the murder happening at an amusement park and main character Maisie stuck right in the middle like cotton candy to your teeth and your hair! I really enjoyed reading this one and picturing the way the amusement park was laid out, and learning more about Maisie and her friends. This is a fast and light cozy that is well balanced and fun. This one is out now and you can find it on Amazon by clicking here. Welcome back to our Three Amigos Summer Reading Club and my pick for this our 6th week and a theme I am so passionate about, Lighthouses. This was me last year in the top of the Cape Mears Lighthouse, such a treat and a dream come true! This is the outside I was actually right there in the light part! But on to my selection and there are so many to choose from. My selection this week is Ellery Adams and her Books by the bay series. READ THE SERIES. I most recently read Killer Characters which is book 8 so if you have not yet read this series start with book one (A Killer Plot ) you will be glad you did! Find it on Amazon by clicking here. You can order it with free worldwide shipping from The Book Depository by clicking here. We would all love to hear from you so please leave us comments on our blogs and let us know what you think of our choices and give us some of your own selections! I finished Wrong Side of The Paw by Laurie Cass Friday at swim lessons for my boys and oh boy did I ever enjoy this one. Laurie Cass has created such a wonderful series around a tiny librarian who drives a book mobile in a tiny tourist town, with a great kitty sidekick. If ever there was to be a Librarian Superhero, the image I get is that of main character Minnie Hamilton. I have read this entire series and feel like I have gotten to know Minnie like a close friend even a cousin after all this time and in this book I felt like screaming "Yes! Finally!" but you will have to read it to find out why. This is an enjoyable series with some unique situations and it will truly give you that cozy feeling, new respect for unsung Librarian Superheroes everywhere and a desire to pick up and move to a houseboat just to join in the fun. 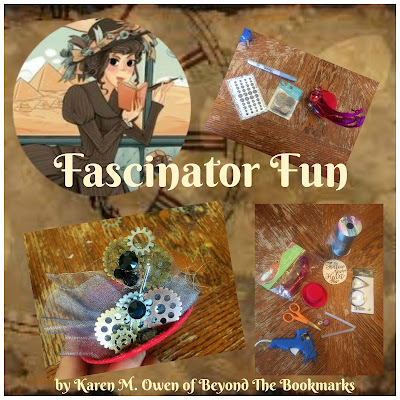 Some fun mysteries and even better sleuthing from the naturally curious and clever Librarian extraordinaire! As the bookmobile rolls along the hills of Chilson, Michigan, Minnie and Eddie spread good cheer and good reads. But when her faithful feline finds his way into the middle of a murder, Minnie is there, like any good librarian, to check it out. Eddie turns a routine bookmobile stop into anything but when he makes a quick escape and hops into a pickup truck…with a dead body in the flatbed. The friendly local lawyer who was driving the pickup falls under suspicion. But Minnie and Eddie think there's more to this case than meets the eye, and the dynamic duo sets out to leave no page unturned. This one is out July 25th and can be ordered by clicking here from Amazon. Well I can honestly say this was a crazy fast week, only getting home on Monday I am very much behind! I did manage to get a bit of reading done this week, and just started Final Check out by CeeCee James. It was so much fun to have this book early and to escape to. If you have not yet read this series it is one of the best, I love the idea of a historical based, royal family, spy mystery series and I know you would too if you happened upon it! Book one made me so very happy! I have devoured each book since! 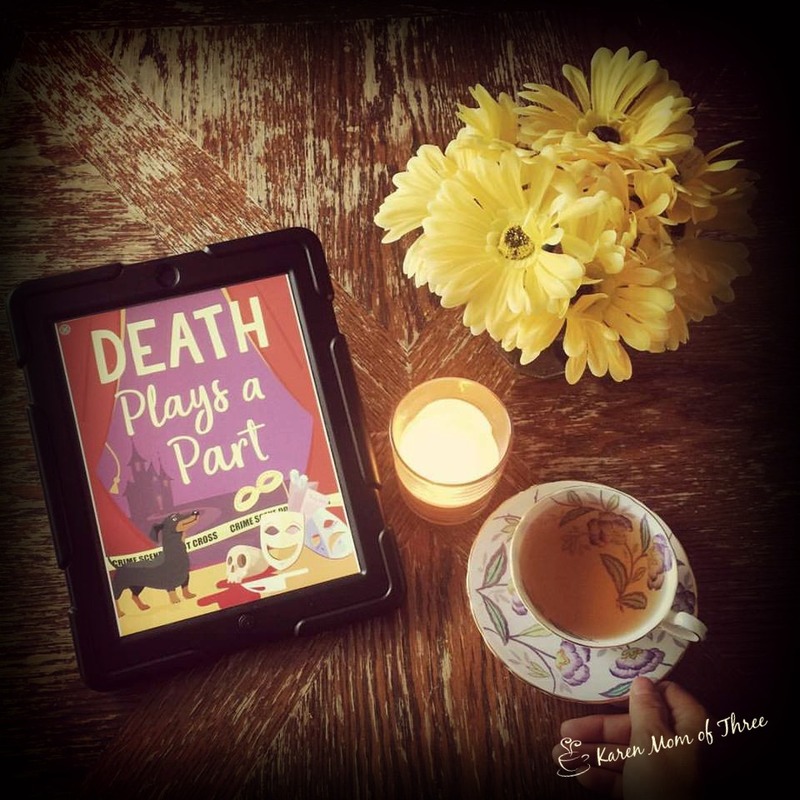 Death Plays a Part was a lovely way to kick of my vacation weekend. This is a first in series that is out now. 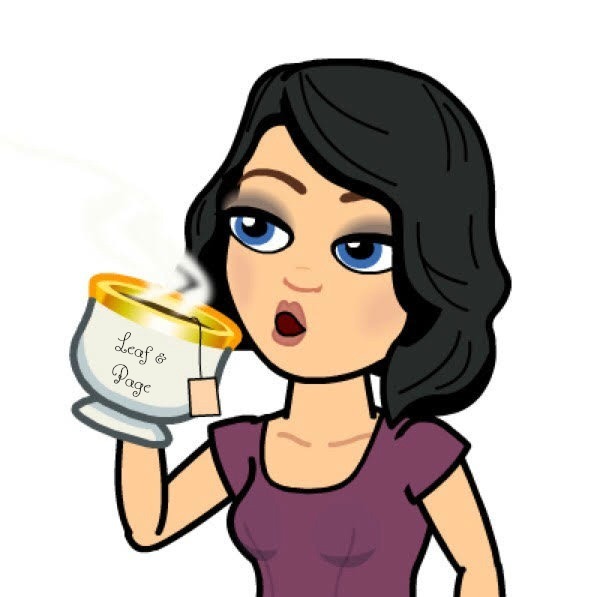 I just finished reading Wrong Side of the Paw and will share my review with you tomorrow. I have brought some fun tea back and have been enjoying it all week. 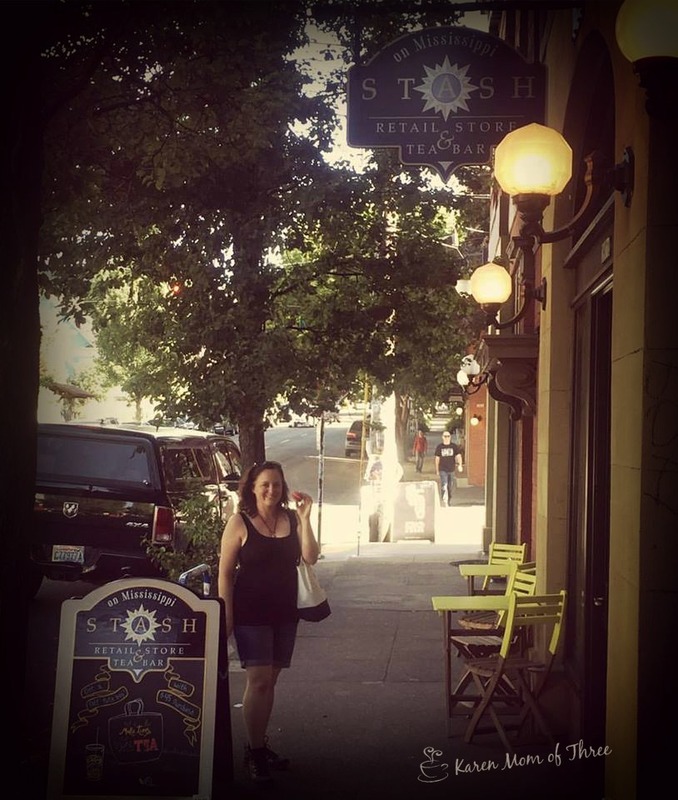 It was fun to be at the Stash Store. Below is my Friday Spotlight on a series from a few years ago, the Magical Dress Making Series by Melissa Bourbon. 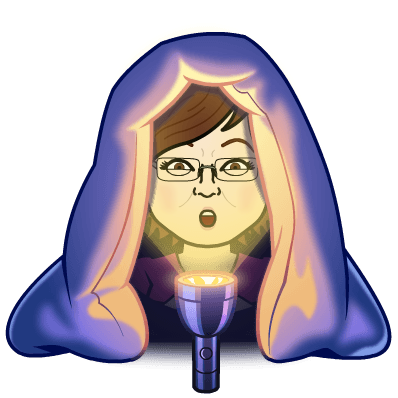 I am still working out how to do these videos and I am thankful for those of you who humor me and watch them! Thank you for joining me for a cup of tea and a cozy mystery week in review. I look forward to sharing more reviews with you tomorrow.